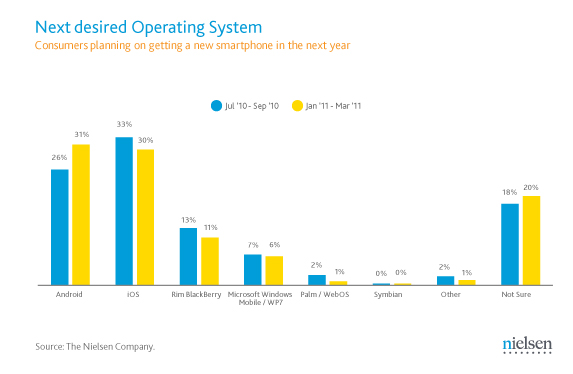 Android phones have now become the cool thing to have according to the latest 2011 numbers out of Nielsen. After surveying a number of people from January-March of this year, the numbers show that 31% of future smartphone owners plan to buy one running Android, which slips past the iPhone (30%) for the first time. They also found that 50% of recent smartphone acquirers purchased Android phones, with iOS devices coming in at only 25% and in second. 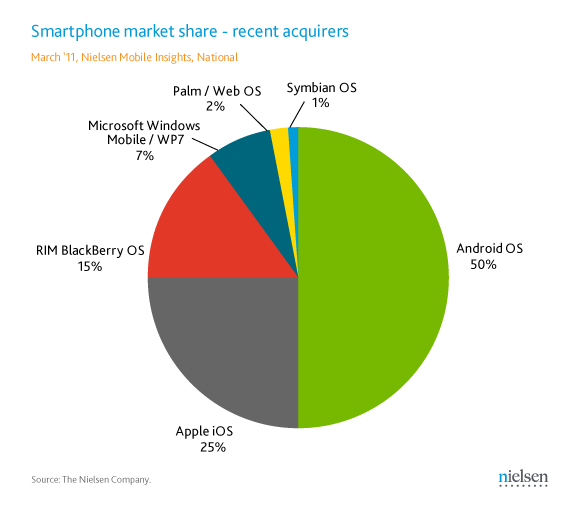 And of course, Android maintained its grasp on the overall market share, controlling 37% of it. Not that we need to point this out, but this includes almost 2 full months of Verizon iPhone 4 data. So much for it killing off Android.